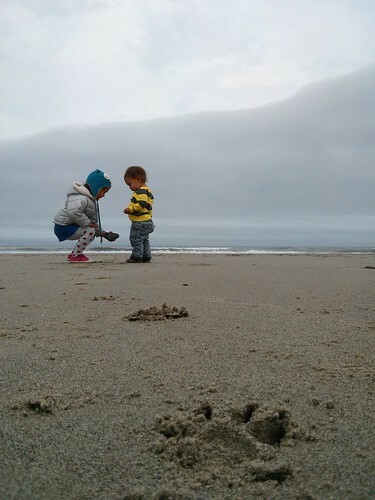 Mali Mish – Day 9: Beachside State Park, Oregon. 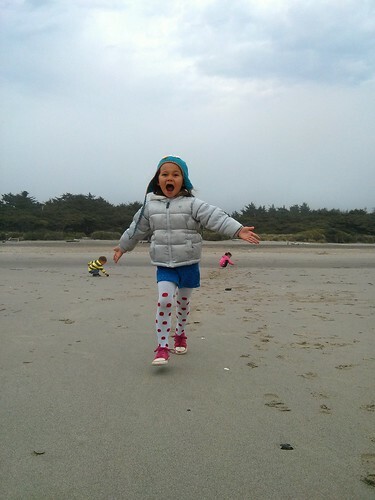 Today, we made it to Beachside State Park along the Oregon coast. 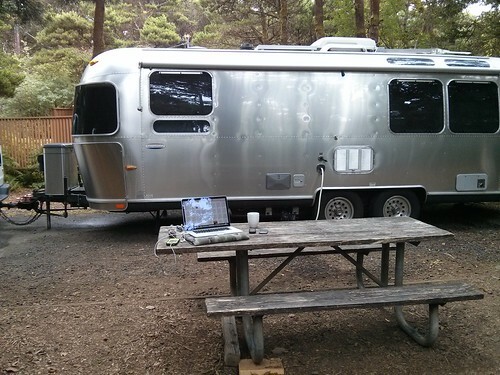 We got here yesterday and were lucky to score a site that just fits the Airstream and van without sticking out. 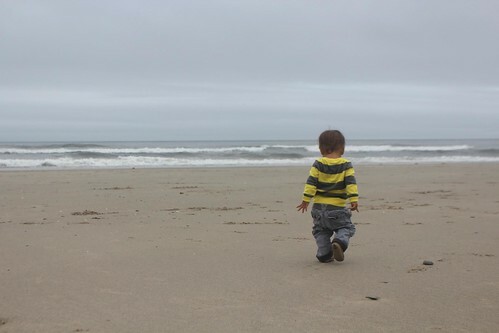 The marine layer is still thick but we were able to actually see the ocean today when we walked to the beach. 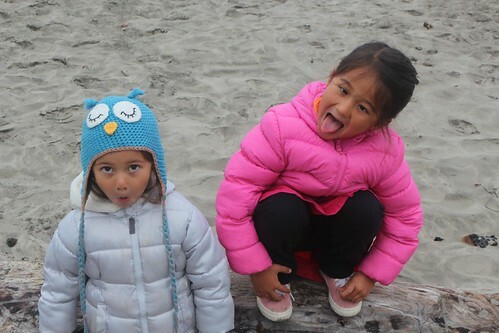 The girls bundled up in our biggest winter coats and apparently it was not quite enough to keep them from going coo coo. There is no way we are going in this water. It was freezing. 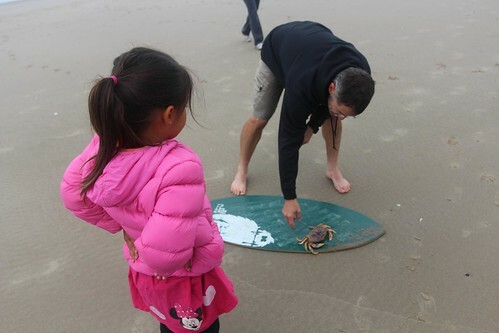 The kids came across this crazy man wearing shorts on the beach riding a skim board. 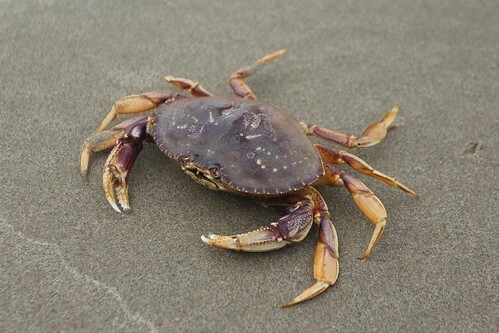 Along the coast of the Pacific Northwest, there are tons of crab parts strewn along the beach. Rarely do you see a guy like this. Probably because they would have been picked up, boiled and eaten by someone. Ava tried praying to get more sunshine as she is dying to dip her toes in the water. I am not sure if that is going to work. 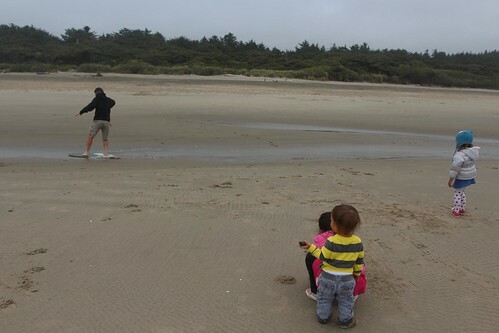 With these kids, it really doesn’t matter what the weather is like. 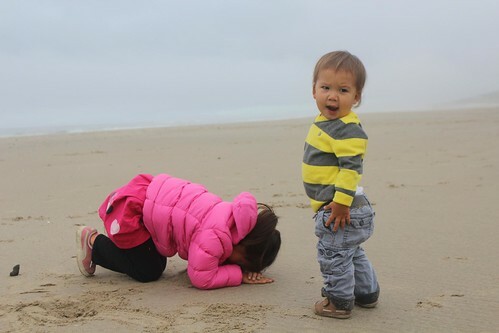 They will always find a way to entertain themselves at the beach. 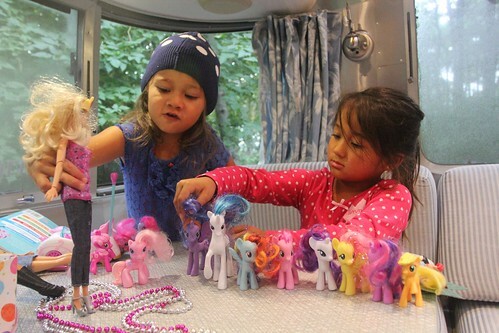 Of course there is always My Little Pony and Barbies back at the Mish to play with if nature strikes out. Tomorrow morning we will continue heading north towards Washington along the Pacific coast. 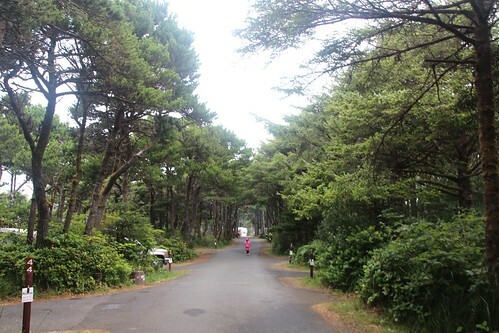 2 Responses to Day 9: Beachside State Park, Oregon. 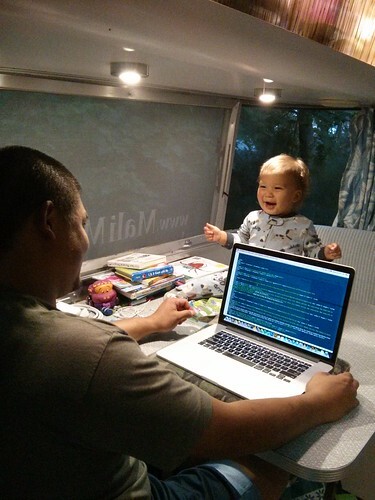 Nice to see that you are back in the blogging saddle. I love reading about your daily adventures. It is difficult to keep up sometimes. We will start up the old blog again as we are about to head for Florida later this week.